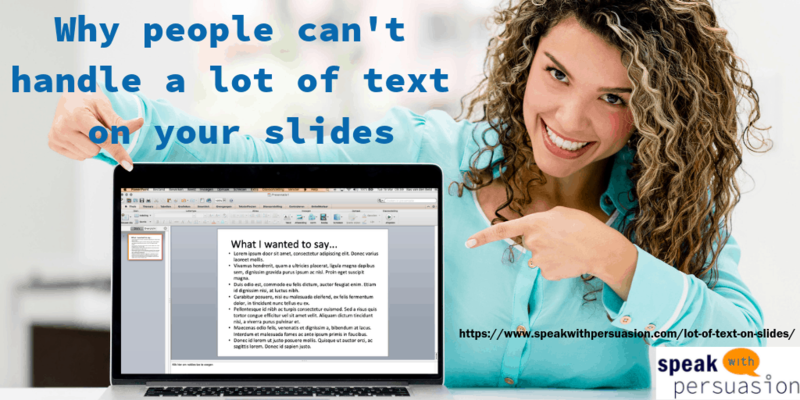 How much text should there be on a (Powerpoint) slide? Not too much! If you have too much text, you will confuse your audience. Here are some guidelines. When building the deck, you need to find the images that work best. There is a lot you need to think about, one of them being: where do I find the images?